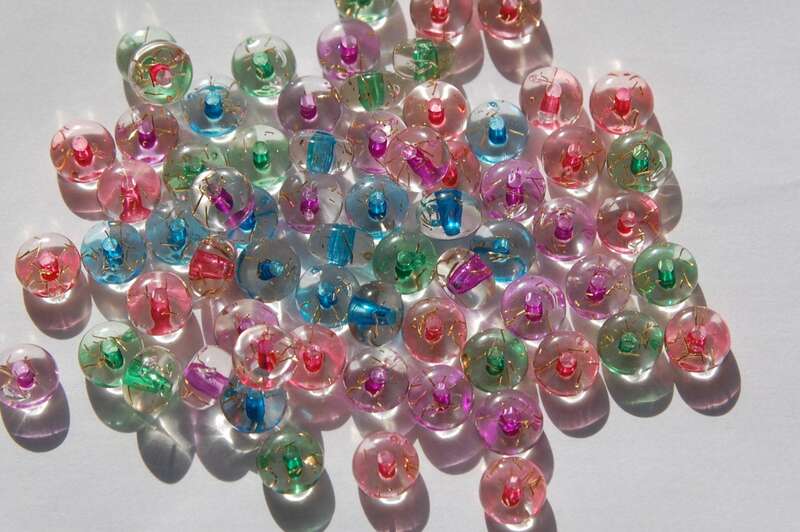 These are plastic rondelle shaped beads. 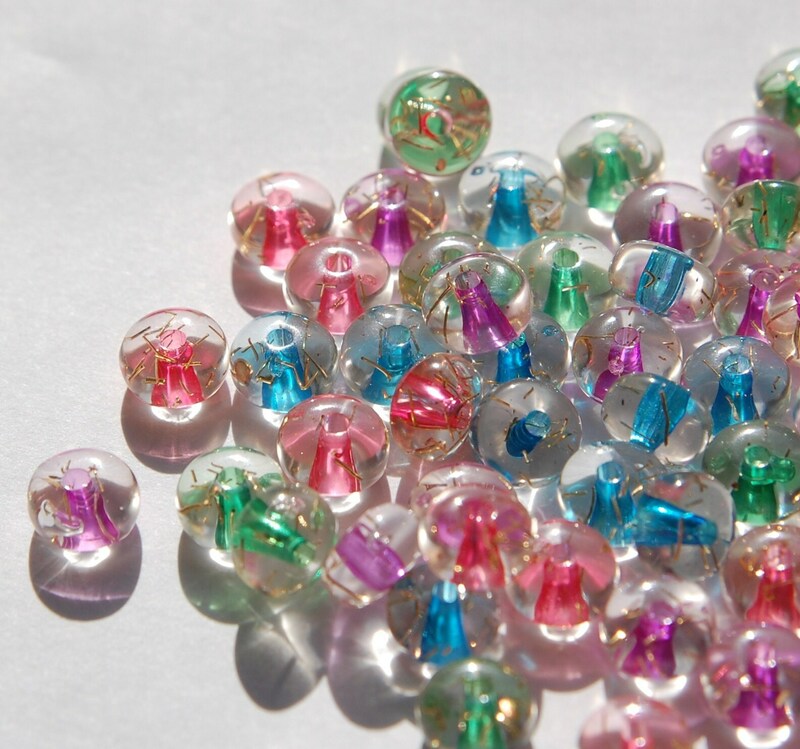 They have different color lined beading holes or cores. The clear outer part has gold colored glitter pieces scattered through out. I am not sure of the age of these. They measure 8mm X 4mm. You will receive 10 pieces in mixed colors.